There are things about you quite unlike any other. Things always known by your father or mother. no worries… I'd know you anyway. Every child is special and unique, but every child also loves to dream of being something different. 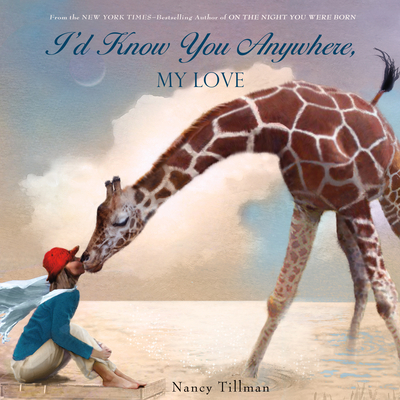 In I'd Know You Anywhere, My Love, bestselling author and artist Nancy Tillman has created another heartfelt masterpiece celebrating the joys of imagination, and the comfort of always knowing that "you are loved." Nancy Tillman is the author and illustrator of the New York Times best-selling picture book On the Night You Were Born and its companion journal, The Wonder of You: A Book for Celebrating Baby's First Year. Her other books include Wherever You Are: My Love Will Find You, The Spirit of Christmas, and Tumford the Terrible. A former advertising executive, Tillman now writes and illustrates full-time. She lives in Tualatin, Oregon.